We love the unique look of Moe’s Home Collection’s Park Arm Chair. This chair’s completely upholstered with versatile, chic fabric and polyurethane padding creates a comfortable place to sit. 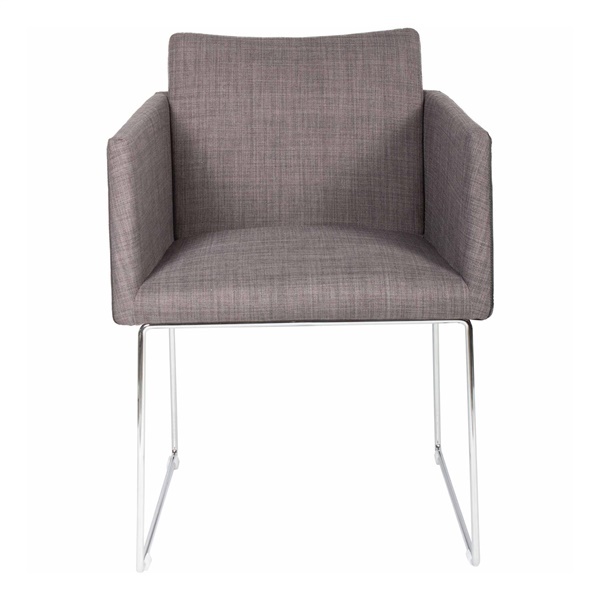 The legs and frame are made with a very shiny steel and the chair is a perfect occasional piece in your modern space. The feet are non-marking so you don’t have to worry about damage to your floor.